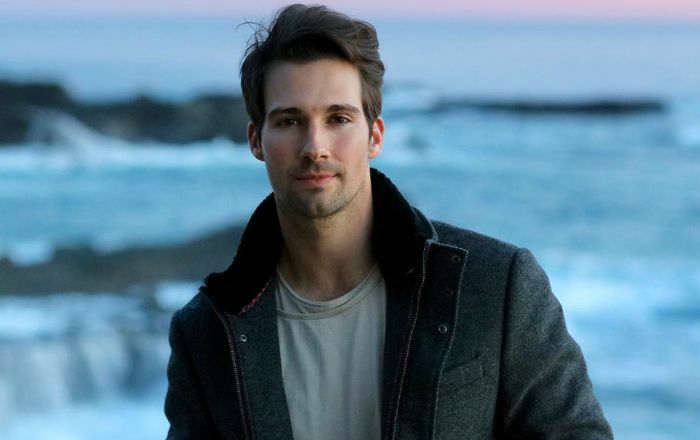 American pop singer and actor James Maslow credited as a member of the boy band “Big Time Rush”, and playing the lead role of James Diamond on the Nickelodeon series of the same name. He competed as a contestant on the eighteenth season of Dancing with the Stars in the past. James was cast as one of the celebrity houseguests on the first-ever American version of Celebrity Big Brother in 2018. James Maslow was born on 16 July 1990, in New York City, New York, U.S.
He’s currently 28 year sold. He studied at various schools throughout his school years including La Jolla and Torrey Pines elementary schools, Muirlands Middle School, and San Diego School of Creative and Performing Arts. He quit midway through the 10th grade and enrolled himself at the Coronado School of the Arts (CoSA) in the musical theater department, graduating in 2007. He has kept his personal life away form limelight and thus there is not much known information of any relation he has. He has a huge share of affairs with many stars in the past including Jen Shelter, Peta Murgatroyd, Gage Golightly, Halston Sage, Miranda Cosgrove and Debby Ryan. James Maslow hasn’t yet starred in feature films but has appeared in quite a handful of television films such as The Teen Choice Awards , Nickelodeon Kids’ Choice Awards, 7 Secrets: Big Time Rush, Macy’s Thanksgiving Day Parade and others. He made his television debut in 2008 as Shane in an episode “iSaw Him First” of the American teen sitcom iCarly. The boy band released their first album titled B.T.R on October 11, 2010. The album debuted at number 3 on US Billboard 200 and managed to sell over 5 million copies worldwide. James Maslow debuted his solo album titled, “How I Like It” on March 3, 2017. Rose to fame after the playing the lead character of James Diamond in the Nickelodeon’s “Big Time Rush” and also for being a member of the boy band Big Time Rush. His net worth is estimated to be $1 million as of 2018. He lives in New York and owns a Mercedes. He describes himself as a “religious and spiritual person”. He began singing at the age of 6 when his parents placed him in the San Diego Children’s Choir. James was featured on the cover of the July 2014 issue of FitnessRx Magazine and on the cover of the July 2017 issue of “Mens Health Spain”. He has a dog of breed Alaskan Klee Kai, named Fox. If he wasn’t an actor and singer, he would have been an architect. In 2014, he appeared as himself on the 18th season of Dancing with the Stars and made it to the finals before being eliminated on the first night.